A spectacular fusion of fashion-forward pattern, colour and texture, Evoke frieze rugs by Safavieh are soft and casual. Power-loomed of high-twist polypropylene yarns, these artful transitional rugs are designed for high style, performance and easy care. Sink your toes into lush cut-pile frieze Evoke rugs in a collection that ranges from painterly watercolour motifs to classic florals that complement a broad range of decorating styles. This is a great addition to your home whether in the country side or busy city. The Montauk collection captures the essence of casual designer styling in flat weave rugs that complement homes from coastal to contemporary. Hand-crafted in India of cotton for clarity of color, Montauk rugs are woven to create classic Ikat tie-dye effects. This is a great addition to your home whether in the country side or busy city. 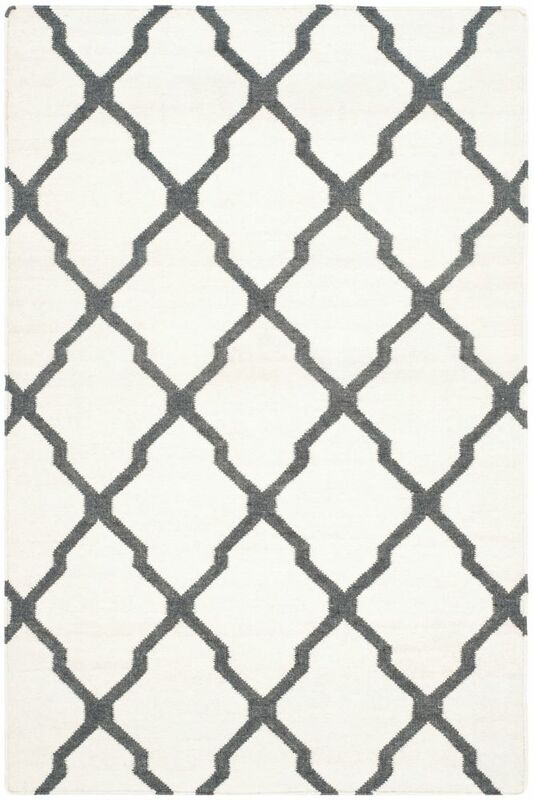 Dhurries Jayce Ivory / Charcoal 4 ft. x 6 ft. Indoor Area Rug The classic geometric motifs of Safavieh's flat weave Dhurrie Collection are equally at home in casual, contemporary, and traditional settings. We use pure wool to best recreate the original texture and soft colorations of antique dhurries prized by collectors. The Dhurrie weave is native to India, and every step in our production process faithfully follows the traditions of local artisans. The results are natural, organic and with wonderful nuances in pattern and tone.